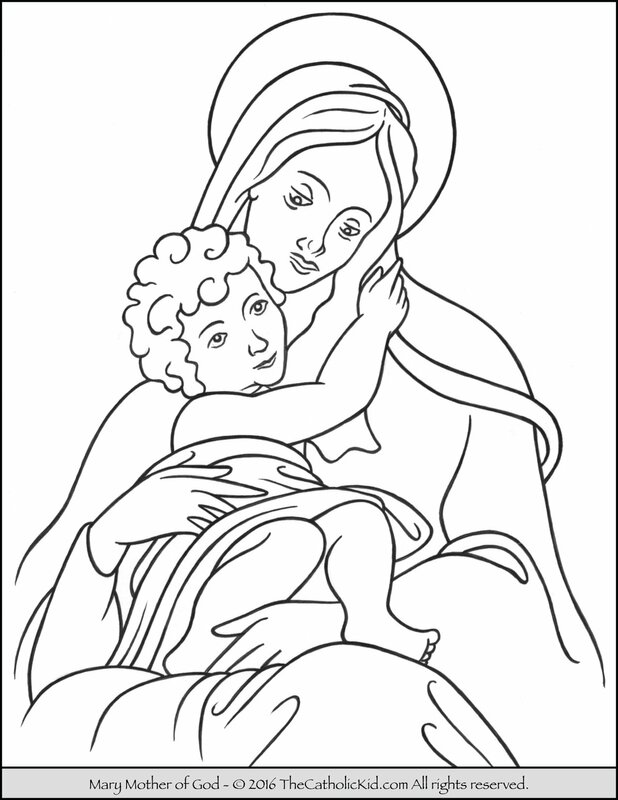 Mary Mother of God Coloring Page. January 1st, is the Holy Day of Mary Mother of God. It is a Holy Day of Obligation in which the faithful are required to attend Mass. Some things to discuss with the children as they color this page might be. Mary is the Mother of Jesus and our Mother too. The title “Mother of God” comes from the Greek word “Theotokos”, which means “God-bearer”. Calling Mary “Mother of God” is the highest honor we can give to her.